Are you passionate about Penticton? Are you always the first one of the group for dinner recommendations, adventures to go on, wineries to visit? 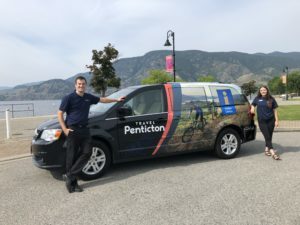 Travel Penticton is looking for a dynamic team player that loves help visitors plan their vacation. You know the best spots to eat, shop, climb, and picnic! The secret gems of Penticton are there to be discovered and you’re happy to share your little piece of Okanagan Paradise secrets. Only those short listed for interviews will be contacted.